I’m back from Florida and very cold, it is amazing how quickly you can get used to it! The weekend was great, I had such a great time and already miss it (and looking for tickets to head back down with my hubby in the summer). It was so funny being in short sleeves and a skirt and everyone saying it was cold ;) it was in the 70’s. While it may be cold here, I am not complaining. Any little bit of snow in Maysville means good days for me. They don’t quite have the ‘prepping the road’ thing down yet, and we have had a ton of snow days, so I am enjoying yet another day with my wonderful husband at home. So while the 70 degrees was great, there is nothing better for me than today :) Enjoy your day and try to stay warm! *I already miss my Naples family, thank you so much for such a great time, can’t wait to see you all again…hopefully soon! Oh and congrats to Jackie and Rob, the beautiful couple that I was fortunate enough to help photograph their great wedding. It was a bit ironic, the bride’s family is from Ohio, so there were quite a few buckeyes at the wedding, small world! Just wanted to let everyone know that I will be out of town for the rest of the week, I am heading to sunny Florida to second shoot a wedding with some good friends. Ashley & Sam Brockinton are amazing photographers and I am thrilled that they have asked me to come. So, probably no more blog posts the rest of the week, I will be busy, busy, busy…I even get to see one of my very, very best friends, my roommate from college! Allison and I obviously don’t get to see each other that often and I can’t wait to spend time with her! 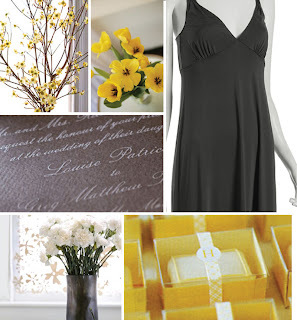 Oh, and just wanted to share one of my all-time favorite blogs with all you wonderful brides. Style Me Pretty has very beautiful ideas, many do-it-yourself projects (that *never* look diy), and inspiration boards, check it out, it’s great! Have a great rest of the week! I’ll be back Monday! 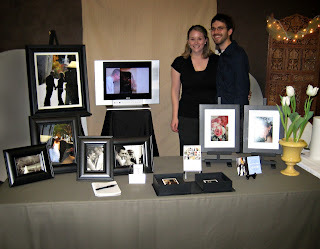 We had a great time at the bridal show in Chillicothe this past weekend. The turnout was great, and it was soo good to meet some more of the local vendors. You all are wonderful! The Cake Kitchen, Erin Allsop – Her cake samples were absolutely amazing, soo tasty! And an added bonus, she is such a sweetheart and would be a pleasure to work with. Weddings by Nathan, Nathan Cutright – I’ve bragged about him before. Nathan is amazingly talented and really cares about what each bride wants. We worked with him for the flowers for our wedding and were more than thrilled with the results – everything he made was stunning! I’ve got many more recommendations, just wanted to say a few words about these folks. Thanks to everyone who stopped by our booth. It was so great talking with everyone, and we are so excited to work with some of you!!! 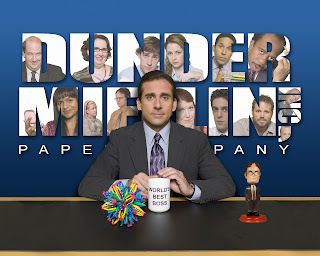 i miss the office. that is all. If you are going to be in Chillicothe on Sunday and planning on coming, please stop by my booth, I’d love to see you!!!! What: Fourth annual Chillicothe Gazette Bridal and Prom Extravaganza. When: 1 to 5 p.m. Sunday. Where: Open Door Ministries, 3130 S. Bridge St.
Tickets: $5. Tickets are available at the Chillicothe Gazette office, 50 W. Main St., Uniquely Yours in Circleville and The Party Place on Water Street in Chillicothe. Read: here for more details.